It is absolutely unfathomable that Governor Rick Scott-who leads the state with the third largest population of Jews-would invoke the Holocaust to shield Mitt Romney from criticism over his record at Bain Capital. As we have said before, it is never acceptable to invoke the Holocaust to make a political point. This display of insensitivity towards the legacy of the Holocaust-and using Martin Neimoller’s powerful words-is just the latest example of a Republican official abusing the memory of the Holocaust and inappropriately inserting this rhetoric into civic discourse. All who understand and respect the sanctity of the memory of the Holocaust must condemn Scott’s tactless remark, and especially Mitt Romney, for whom Scott was stumping. Romney must make it clear that this sort of language will not be tolerated on the campaign trail. Failure to do so will make him the latest Republican to betray American Jews and the memory of those who perished by giving a free pass to this unacceptable use of this language. The governor paraphrased a famous saying by Martin Niemoller, a German Protestant pastor…. Scott then paraphrased the Niemoller saying, which he has on a plaque in his office. 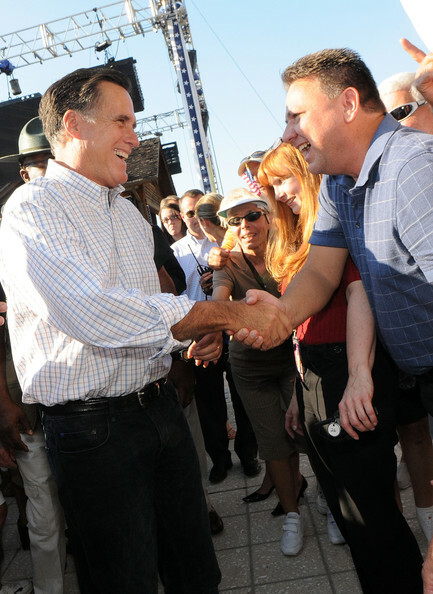 Bain Capital is the private equity firm founded by Romney. Scott later told reporters he used the Niemoller quote to say that capitalism should always be defended. ‘I have the quote in my office, and the reason is I have it is, we all have to think about watch(ing) what’s going on out there,’ Scott said. Press secretary Lane Wright further clarified the governor’s remarks. Or, in other words, ‘If you’re attacking capitalism, who’s next?’ Wright said.